Our clinic will be closing early this Thursday, December 13th at 4:00 pm. We will be open again for our regular business hours on Friday, December 14th. Reminder, turn clocks back one hour at 2 AM on Sunday morning. Our phone lines will be closed today from 12:30 - 1:30 PM. Flu Shots are now available at our office for patients aged 6 months and over. If you have an upcoming appointment and would like a flu shot at the same time, please notify the front desk at check-in. 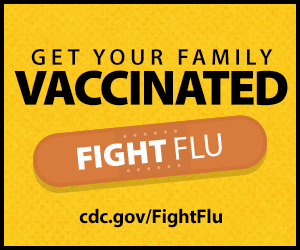 If you do not have any upcoming appointments you may call the office to schedule a nurse visit for a flu shot only. New patients must schedule an appointment with a provider for a flu shot (nurse visits are only offered after care has been established). We will collect your copay if required and file with your insurance. The cost for uninsured patients is $52.50 and must be paid at the time of service. Please call the office if you have any additional questions or to make an appointment at (512) 250-3900, option 1. Our office will be closed Saturday, September 1st through Monday, September 3rd in observance of Labor Day. We will resume regular office hours on Tuesday, September 4th. Our clinic will be closed on Wednesday, July 4th in observance of Independence Day. We will return to regular hours on Thursday, July 5th.